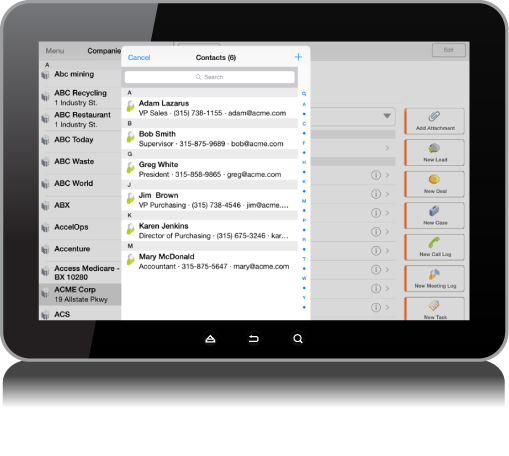 interactions in one centralized system, wherever you are and on the mobile devices that you use. Every customer and prospect’s history is available in one place. 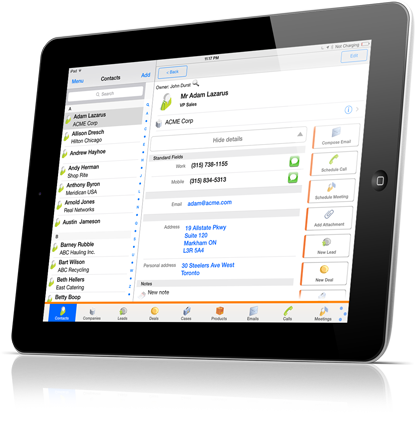 You and your team can add notes from calls, meetings, emails or any other historic information on a client record. No matter who you are within your team, if you have security permission to open a particular customer record you will know everything about that customer and about all of their communications and activities with your company. You’ve worked hard to build quality business relationships, SalesNOW helps you to keep those relationships strong. No matter who in your company speaks to a contact of one of your prospect or client accounts, the person answering their call will have their complete history at their fingertips. They will have access to critical customer information, including the contact’s role within their company, any deals that they are involved with, any open service issues, and a complete history of all of their communications. Even track custom information within SalesNOW to record those key insights that will help deepen your knowledge of what’s important to your contacts and accounts.